UCL is ranked in joint 5th place in the QS World University Rankings 2014/15 released today. UCL is one of four UK Higher Education institutions ranked in the top ten, along with Oxford (joint 5th), Cambridge and Imperial (joint 2nd). This is the 10th year of the QS rankings, which use six performance indicators to assess and compare the top universities in the world. Throughout the decade in which QS has been publishing the rankings, the very top of the table has remained fairly consistent. 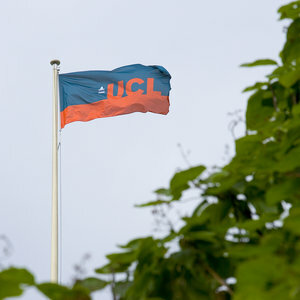 Professor Michael Arthur, UCL President & Provost, said: "UCL's high ranking across a range of league tables reflects our strengths as London's Global University and our significant academic reputation across all disciplines. It's great to be in such good company and it is particularly impressive that London has two institutions in the top ten - we congratulate Imperial on their performance in the QS rankings this year. "Our position in this and other rankings is down to two things: our established cross-disciplinary institutional strengths and our continuing commitment to playing a leading role in higher education in London, the UK and globally. As gratifying as recognition of this is, no table can fully reflect UCL's distinctive strengths, and success in the rankings will not distract us from our core mission - educating and inspiring our students and producing world class research."